When strawberries are in season, make these delicious scones with fresh picked strawberries and take a big bite of summer. 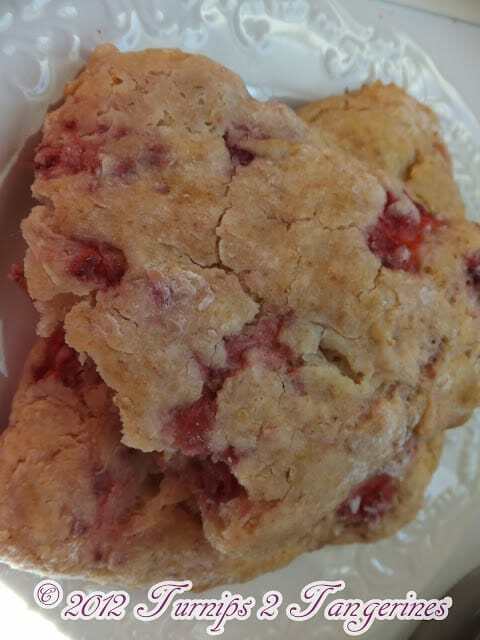 Fresh strawberry scones are a sensational strawberry scone that your whole family will love. Vanilla or lemon icing would be perfect on these delicious scones. You can even add a little chocolate to these scones by stirring in some white chocolate chips before baking. 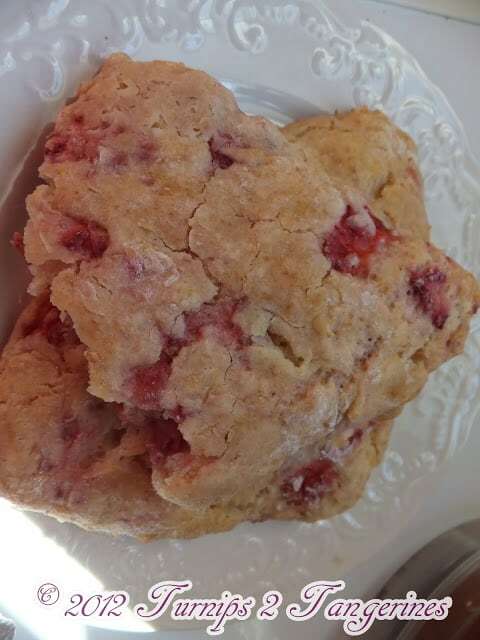 Fresh strawberry scones are the perfect scone to start off your summer. The month of June and into the early part of July is strawberry picking time here in Wisconsin. The residents of Wisconsin anxiously await the arrival of strawberry picking season. We listen to the radio, we check the local news channel, and look up our favorite strawberry picking farms. When the picking starts, we jump in our cars and head to our favorite strawberry patch farms, (both near and far) and pick, pick pick. Pick Your Own is a fantastic website that lists all the farms in your area where picking of fresh produce is available. Pick Your Own will help your find a pick-your-own farm near you. Go to their website and simply click on your state. This will bring you to a large map of your state. 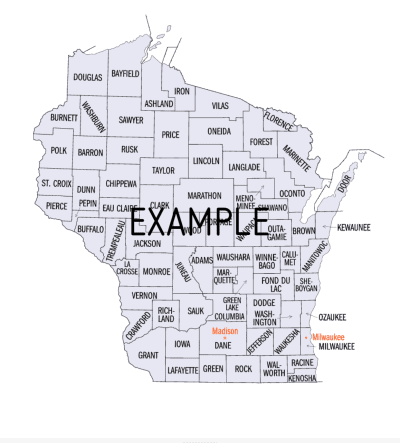 Your state map will be sectioned off by counties. Simply click on the area nearest you on the map and you’ll find a list of what is available for picking in that area. Pick Your Own offers picking from literally A to Z. From fruits and vegetables to tree farms and festivals, this site has it all. Pick Your Own website also has a complete list of easy home canning, jam and jelly making, preserving, drying and freezing directions. There even is a section on how to make your own ice cream and even gelato. Go check out Pick Your Own, and see whats available for picking in your area….go on now, get! If you like this recipe for Strawberry Scones, you’ll love this recipe for Strawberry Lemonade Bars. Fresh diced strawberries dot these already delicious scones. In medium bowl, mix flour, sugar, salt and baking powder. Cut in cold, cubed butter until mixture resembles coarse crumbs. In small bowl, mix together egg and yogurt. Add egg mixture to flour mixture, mix until moistened. Add chopped strawberries and lemon zest. Turn mixture onto a floured surface and knead gently 6 to 8 times. Pat into a 6 inch circle, cut into 4 wedges. Separate and place on parchment lined baking sheet. Sprinkle with sugar, optional. Bake at 425º for 12 to 15 minutes. *Optional: add white chocolate chips to the dough before baking for an extra layer of yum! Rats! I just used up all of my strawberries for a cake! I love scones and these would be perfect!